Chiropractic And PregnancyAfter my second visit, my baby was able to move around easier as he was far more active than usual. I am optimistic that the treatment is helping provide a better environment for my baby to flip around and not be in a breech! What a pleasure my first visit was! Ashley and Anna provided exemplary customer service. The office is beautiful, professional and very efficiently organized. Dr. Wade is very caring, an excellent listener, thorough in his examination and explanations, and very easy to talk to. I felt welcomed, valued and confident that care with Anunson Chiropractic will help me to optimize my health. Thank you! Terrible Digestive Pain… No More!I’m Amy. My hips originally started hurting when I was in a car accident in 2001. The pain got worse during my pregnancy with our daughter. I started seeing a chiropractor in 2011 and I would also take ibuprofen for the pain. When my family and I moved to Madison in April, my hips were aching very badly. We needed to find a new chiropractor, so my husband found Anunson Chiropractic.I noticed an improvement after a couple adjustments. I can now walk with less pain. I never expected to start sleeping better, have fewer headaches or improve my digestion! My digestive system was so messed up after my car accident. I saw so many doctors, had multiple colonoscopies, endoscopies and I was put on Miralax – it was terrible! I would go from being really constipated to having diarrhea all the time. I hurt every time I ate and it didn’t feel normal. Dr. Anunson recommended that I take digestive enzymes in addition to my adjustments and it has been a tremendous help!My favorite thing about coming to Anunson Chiropractic is that I feel so much better!! I’ve told some members of my family that they should really see a chiropractor.If you’re considering chiropractic, go. Even if you don’t see progress right away, it’s worth it! Hi, I’m April. I first came to Anunson Chiropractic because I was looking to continue my chiropractic care; my in network provider changed with my insurance. I found this clinic just by looking on my insurance company’s website.My mom brought everyone in my family to the chiropractor as we needed it, so it has always been a part of my life. I’m passing on the same mentality to my kids to make it a part of their lifestyle.When I brought my daughters to Anunson Chiropractic, I noticed improvement after just one adjustment. I want to go the non-medicine route with them. It took longer for me to notice an improvement, but that’s to be expected since I’m older and have had more stress on my body over the years.In the past, I had a hard time with the common physical manipulation techniques that chiropractors use; it was so stressful. I was surprised to see how gentle and low force the Activator method is!After one allergy season, with getting adjusted, I didn’t get sick! I didn’t expect chiropractic to help with chronic illnesses like that! I’ve been burning the candle on both ends the past three months with a stressful lifestyle and I have not gotten sick this time around either! My daughters have not been sick like they’re used to and it’s rewarding to see that when I see other kids getting sick.Everyone is great at Anunson Chiropractic! It’s so relaxing and welcoming here. The flexibility is wonderful.My family has been very supportive since they’ve used chiropractic before and I have mentioned chiropractic to other friends and parents. I’ve offered the idea of chiropractic as an alternative way to treat & benefit whatever it is that person is going through.If you’re considering chiropractic, try it! We live in a society that wants instant results, so give it some time. Chiropractic for Preemies!My name is Sarah. My twin boys were born 10 weeks premature. You could imagine how tough that is. My husband, Jon & I wanted to try just about everything to help our boys develop properly, so we decided to try to chiropractic.Braden & Jaden had acid reflux, developmental delays & poor posture. Braden had high muscle tone & Jaden had PVL, a type of brain injury that affects infants. One of Jon’s co-workers told us that everyone was very friendly at Anunson Chiropractic, so we made the jump to try them out. Before seeing Dr. Anunson, the twins were on different medications for acid reflux & constipation. They saw all kinds of doctors! We continue to do physical therapy & cranial sacral therapy. read more» In just one week of starting care at Anunson Chiropractic, the twins’ moods were so much better! Everything improved in just one month; their acid reflux was gone, constipation was better along with their posture, Jaden started opening his left hand & they didn’t need to take medication anymore – in fact, we were able to quit cold turkey! Now, Braden & Jaden are sitting up on their own, pulling themselves up to stand, crawling & Jaden is using his left hand.Jon & I had no clue that all of these things would be resolved! We knew a lot about the medical world, but not a lot about chiropractic; we figured it would only help with their posture.Everyone at Anunson Chiropractic is super friendly & accommodating! Braden & Jaden are totally different babies now & they’re experiencing healthier development. Dr. Anunson has been amazing. Our family & friends have noticed that Braden & Jaden are so much more active & that they hold better posture. Our cranial sacral therapist asked us if we knew a good chiropractor & we suggested Dr. Anunson. Jon & I started care here just after the boys did.If you’re considering chiropractic, do it!! Don’t be a turkey; it helps tremendously. I’m Cami. I have been having a lot of neck and shoulder pain on and off for two years from bulging discs. I had tried pain medications, including muscle relaxers. I had to restrict my lifestyle and just wasn’t living. I didn’t want to be drugged up on pills in order to be pain free. You’re not yourself when you’re on so many medications!My friend went to Anunson Chiropractic for similar issues and experienced great relief, so she told me I should try it out. I didn’t want to see a traditional chiropractor that would crack and twist to adjust; I didn’t want to leave feeling I had just played tackle football! Fortunately, my friend said her chiropractor had a gentle way of adjusting. read more» The day of my first adjustment I felt better emotionally and physically! Dr. Anunson has helped me to feel like myself again.Since starting care I have been able to enjoy everyday life – I can go walking, do outside activities like play fetch with my dogs & even do household chores! I didn’t really expect to regain this part of my life. At Anunson Chiropractic, I love the flexibility, quick visits and that they work with my schedule; the staff and Dr. Anunson are friendly! At the time I started care I wasn’t working temporarily and was doing really well and getting stable. Now that I have started working again, I feel different everyday at work. My pain has been worse again, but that is because I’m working on gaining stability with the lifestyle I want while trying to make a living.My family and friends are happy that I have received so much relief. They have been very surprised to hear about the type of care I receive, with the Activator Method. They had only known about traditional chiropractic. I have referred many to Anunson Chiropractic & I keep telling them to come with me to at least watch & see how everything goes. I would recommend Dr. Anunson to everyone; him as a doctor and not just the chiropractic care. My name is Maria. My lower back pain during my pregnancy brought me to Anunson Chiropractic. I had had chiropractic care when I was in high school and just decided to look online for a convenient location. I was pretty much just suffering through my pain for 2 weeks before I decided to come to Anunson Chiropractic. I was 13 weeks pregnant at the time and didn’t want it to get worse!After starting care, I felt significantly better after 2-3 weeks. I am just a few weeks away from my due date & through consistent care I have been able to enjoy walking without pain and sleeping! I was just tossing and turning before. read more» I never expected to learn as much as I have from Dr. Anunson. I am more aware of how my lifestyle, including the food I eat affects my body. Everything impacts your body, whether good or bad!The best things about Anunson Chiropractic would be the staff, whom are very friendly, and how much I’ve learned about my health. My family and friends are so supportive and glad my care here is working. I have referred many to this clinic!If you’re considering chiropractic, give it a try for a couple of weeks before you make any judgments; it’s a healthy decision! If you’re not satisfied, talk with your chiropractor. An adjustment won’t fix you over night. Be patient and you will reach a whole new level of health! Attitude Adjustments!I am not sure what our life would be like without seeing Dr. Wade! Here’s how my girls have benefitted from adjustments…all three have been adjusted since birth.– E, age 5 (almost 6) – I know it’s time to come in when she can’t control her emotions and the wheels are falling off. Within 12 hours, she’s back to normal and I see less “drama”. When she was younger, I knew it was time when she would wake up at night and have difficulty settling.– A, age 3 – When she has frequent accidents, that’s her cue that it’s time to be adjusted. A year and a half ago, her first steps were taken a few days after an adjustment. She got adjusted on a Friday, started integrating motor patterns that we introduced on Saturday, and on Monday – walking!– L, age 5 months – Early on, she had difficulty turning to the left and she came in to see Dr. Wade. This last time, she was constipated and GI was sluggish. Not anymore!The office is accessible, friendly, and welcoming. My kids feel very comfortable going to see Dr. Wade, Lindsay and Danielle! ’m the type of person that just learned to live with my pain. My shoulders had been hurting for over a year and my neck was as well for two years. My hips have always been bad; they get locked often. Ignoring everything seemed ok, but one day, I fell on my tailbone and I started getting constant knee pain. That was it; I decided I couldn’t live with having knee pain all the time. My friend who had knee surgery told me to come to Anunson Chiropractic. When I came to Anunson Chiropractic, I noticed improvement immediately!Dr. Anunson helped resolve issues that I never assumed a chiropractor could fix! I didn’t understand that everything was connected. Doctors had given me exercises to help with my shoulder pain, but they said if it didn’t go away they would give me a shot and then eventually I would have to have surgery. My shoulder pain is gone thanks to Dr. Anunson. I had my period from October-January and was diagnosed with Fibroids. To help the issue, I was on a higher dosage of birth control. read more» Since getting adjusted, I’m no longer dealing with that! I was also having problems with my eyesight, but every time I went to the eye doctor I was told my eyes were fine and they hadn’t changed. After my third adjustment I noticed that I could see better and colors seemed brighter! My mood has improved so much; people actually come up to me at work! I have been able to enjoy walking! I’m exercising/running again – yoga feels so different now. Before, things used to pop in my body and I felt stiff, but now yoga feels great.I love that I can call and come in for an adjustment on a moment’s notice; there’s so much flexibility here. My friends and family are convinced that chiropractic works because they have seen so many changes in me. If you’re considering chiropractic, most definitely do it! No matter what ailment you are going through, it can be helped. Life Doesn't Have To Stop...I Can Be Active Again! Life Doesn’t Have To Stop . . . I can be active again!I absolutely love bowling and there came a day when I thought I had to call it quits all because of the low back pain I had. I wasn’t stable…I couldn’t bend over well, throw a bowling ball and just simply couldn’t be active. I was referred by a friend to Anunson Chiropractic – I was already seeing a chiropractor that I didn’t really like because the treatment wasn’t comfortable. I told my friend that all chiropractors are the same and he said, “Oh no, mine’s different, you just have to try it once and you’ll know.”Before chiropractic I was doing physical therapy for weeks and sometimes months at a time, but it never helped completely. There was something missing. I’ve been sitting at a desk for most of my career and when I think back I remember having low back pain during stressful times. I didn’t think much of it then; I would just go home to lie on the floor and would use heat and ice to take the pain away. read more» After some procrastination, I decided that I couldn’t live life in this pain anymore – I wanted to be active! When I called, I got in the same day to see Dr. Anunson. He sent me for x-rays and when I returned he explained everything to me. He asked me what I thought after his explanation and I replied with, “I will tell you after my first treatment.” Afterwards, I felt I could handle that type of adjustment.I noticed improvement at Anunson Chiropractic almost right away!What it comes down to is how badly do you want to stay active? I am still bowling and am even more active than I was before coming here. I didn’t expect that!For someone considering chiropractic, I would say you have to go to my chiropractor! I love the treatments here – they are so simple. They make you feel good. It’s much smoother than the typical chiropractic care you would get. When you lie on the table, Dr. Anunson goes right to the problem area without you telling him. I’m just amazed at how he just knows and takes care of you. 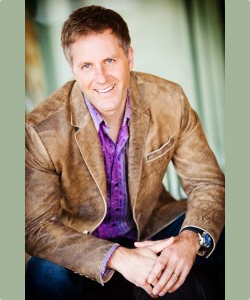 Dr. Wade Anunson is a 1994 graduate of Palmer College of Chiropractic, Davenport, IA, and currently directs a thriving practice with his wife Dr. Heather Anunson in Madison, WI. He is Advanced Proficiency rated, currently an active clinical instructor with Activator Methods, and holds a post-graduate appointment with Palmer College and the Palmer Center for Business Development. Anunson Chiropractic's state of the art clinic cares for infants to the aging population and athletes of all types. Our goal is to help our patients reach their health goals. By focusing on patient-centered outcomes and applying cutting edge techniques to enhance spinal and nerve function, Dr. Anunson and his staff empower their patients to live life on their terms.